I’ll hold my hand up, I got it wrong. Just over a month ago I said that England, at best, would reach the World Cup Quarter Final stages, but it appears like many, I’ve underestimated the spirit, togetherness and quality of Gareth Southgate’s young squad. As I write this, a Semi-Final against Croatia beckons on Wednesday night, with Belgium or France waiting in the Final, it’s scary stuff, but brilliant all the same. I’m old enough to remember 1990 and the fantastic montage the BBC put together featuring some superb footage of Sir Bobby Robson bought it all back. Spine tingling and emotional stuff, bless him. 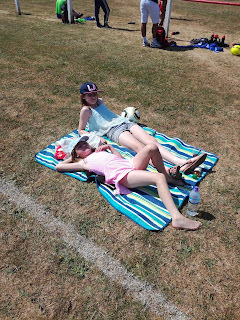 But, all of this World Cup malarkey is playing havoc with my pre-season planning, but not as much as it’s playing havoc with the clubs who are trying to arrange fixtures. Let’s be honest, no one wants to be playing a friendly at the same time as an England game, so compromises are having to be found. 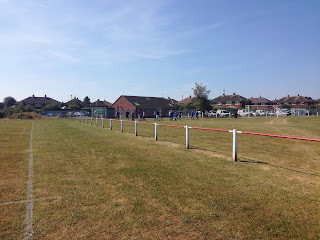 Well, for us types, pre-season is dominated with who’s moving to what league and where are they going to be playing, and with everyone’s favourite Leicestershire Senior League creating a third division, it transpired that the reserve side of Ingles were going to be included, and as the first team shared with Shepshed Dynamo, they needed a base. That base looks to be Little Haw Lane which is nestled in the middle of a housing estate on the South side of the town. Twitter is a real Godsend, and with a regularly updated feed as Ingles have, we had plenty of confirmation of the game, the venue and the kick off time so it was all systems go. 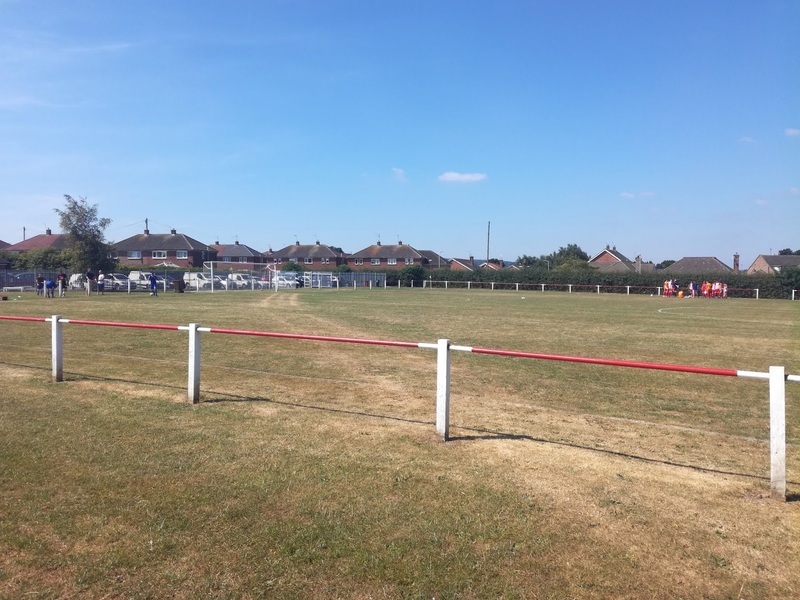 Ingles have been promoted to Step 6 for the first time in their short history this season, and will be plying their trade in the East Midlands Counties League. 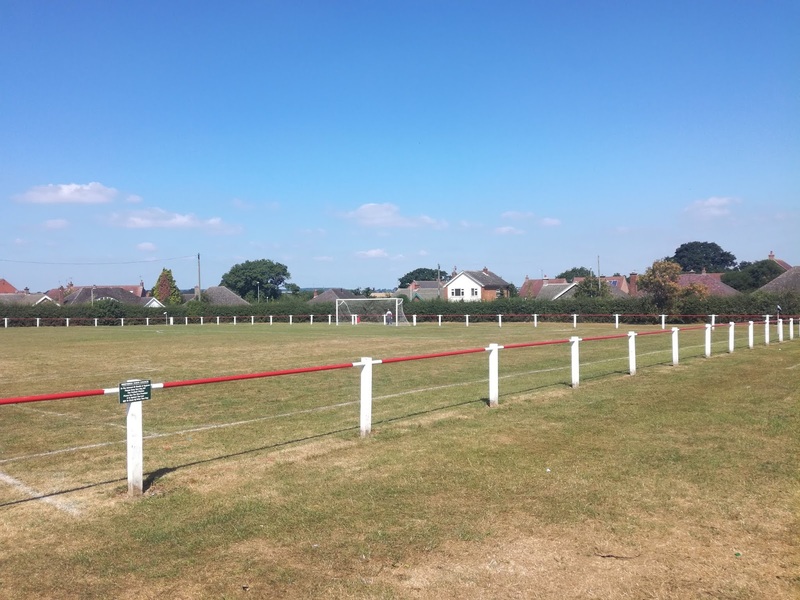 Having been formed in 1972, they were members of the North Leicestershire League until 2014-15 when they were admitted to the Senior League. They won the First Division in 2016-17 and then last season they won the Premier Division on goal difference and hence promotion. FC Wymeswold may well be looking to follow a similar route. 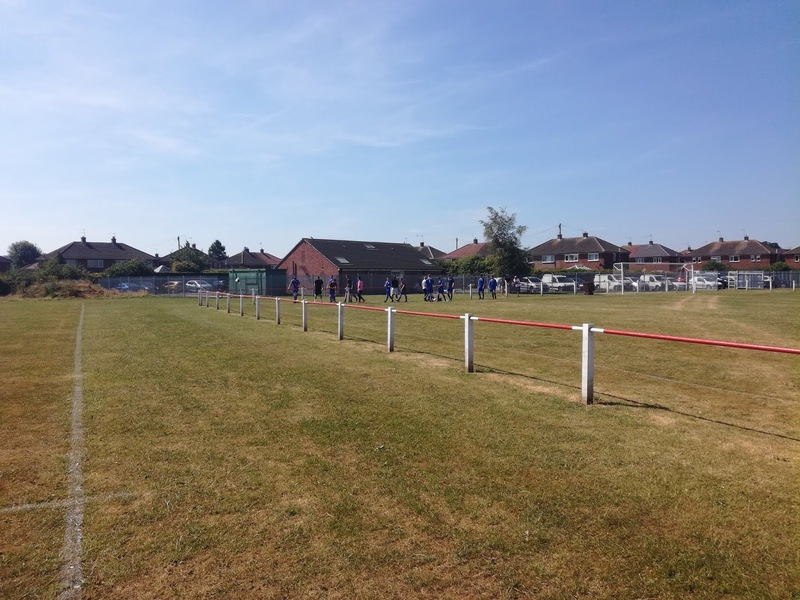 They got promotion from the North Leicestershire League at the end of last season and take up a place in the second of the three tiers of the Senior League this season. They will get a visit in due course. 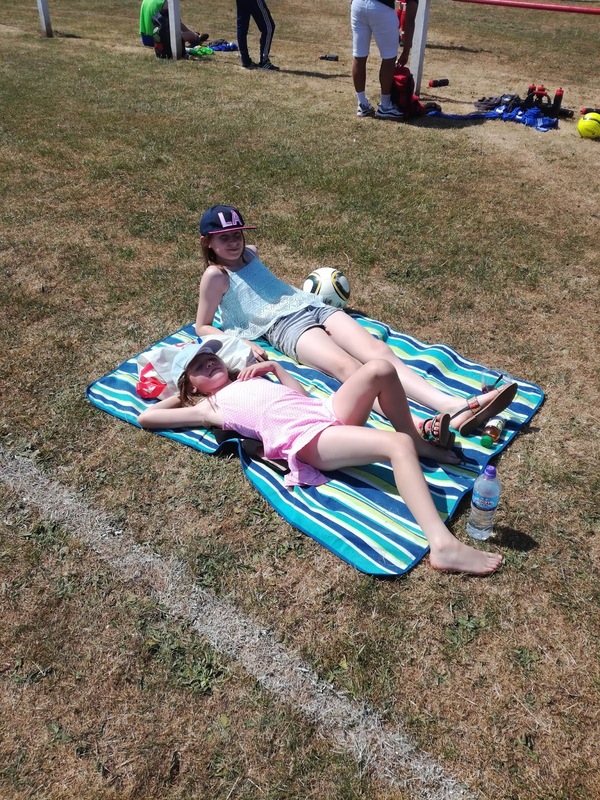 On a baking hot day at Little Haw Lane, the referee chose to kick off ten minutes early on the basis that everyone was ready! 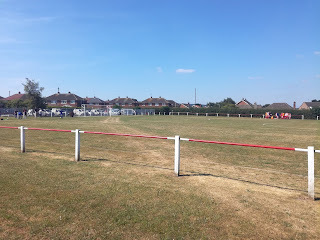 The pitch was scorched as many are at present, but it was flat, and it had a full rail surround painted red and white, which are Ingles colours, and also appears to be the colours of Shepshed Amateurs who class this as their home ground. Not sure who got their first, Ingles or Amateurs, but the colour scheme looks to work for both. 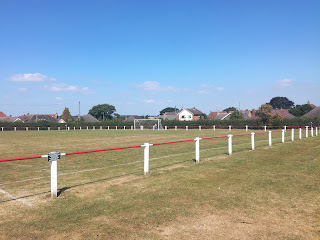 A dressing room building and car park sit behind the goal and otherwise the pitch forms part of a large expanse which has a further football pitch on it. Step 7 it would be fine for, I guess, but clearly Ingles chose the home of Dynamo to match their ambitions of playing at a higher level. They now sit just one league below them. I’m not sure what strength side Ingles fielded, but Wymeswold were the better team throughout, and despite coming away with a 3-1 victory, they had chances to double that score line. It was an entertaining game, and also quite competitive, but as you would expect given the heat and the fact it was still very early for pre-season, the pace slowed down in the second period. So 2018-19 is underway, and it’s coming home apparently, sometimes I’m more than happy to be proved wrong! Uncle Bobbles Knows How To Keep Beth & Lucie Entertained!